Whether you are one of the folks who goes willingly for your check-up, or are hesitant about getting dental work done, Knoxville dentist Jim Erpenbach DDS can help you maintain dental health. 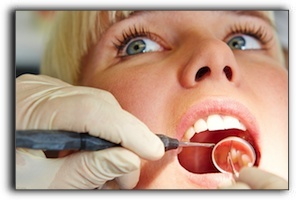 The cost of dentistry doesn’t have to be an unknown. A suitable consultation can bring you up to date about possible procedures and shed light on the pros and cons of biomimetic dentistry, our specialty. Not only do we offer cosmetic dentistry, we’ll see patients for preventive dentistry because we want to make a difference in the lives of our neighbors. We’ll have you open wide for family dentistry because we know we’re superior at what we do. We’ll get you in a comfortable seat before you enjoy minimally-invasive dentistry because comfort is the key to happy patients. And of course, we offer dental implants as well. Jim Erpenbach DDS in Knoxville TN offers family and cosmetic dentistry. Schedule your next appointment with us today.